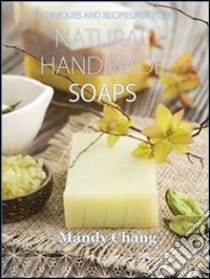 Preserving the ancient craft of soap making, soap maker Mandy Chang provides instruction and guidance to all levels of soap makers. Using natural ingredients, readers will be able to experience the gratification of making different types of handmade soaps using different methods such as cold and hot processes, melt-and-pour soaps and re-batched soaps. The author will guide the readers through the different essential oils to include as well as the the benefits of aromatherapy associated with them.